Knife Crime Prevention Orders would impose sanctions, including bans on using social media to stir up trouble. Orders would target anyone in England and Wales aged 12 or over suspected of knife crime involvement, even if they are not caught with a blade. Critics said the orders risked criminalising young people. The possession of knives has increased by almost a third in five years, figures released earlier this month showed. It is already a crime to carry a blade in public without good reason – and there is a separate offence of taking a knife into a school. The House of Lords is being asked to approve the proposed prevention orders as part of the government’s Offensive Weapons Bills. The prevention orders can also be imposed on someone convicted of carrying a knife, in an attempt to prevent them returning to their old ways. Breaching an order would be a criminal offence punishable with up to two years in prison. Labour MP Sarah Jones, chair of the All-Party Parliamentary Group on Knife Crime, said the plan was “flawed”. “Imprisoning a young person – as young as 12 years old – for two years for breaching this order is completely disproportionate,” she said. 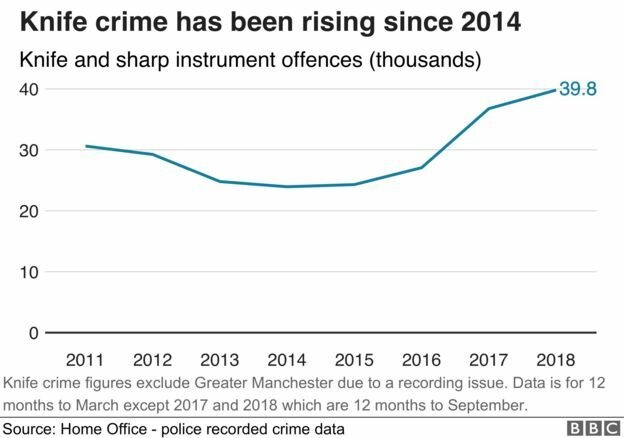 The new powers come as it emerged a fifth of offences for possession or threatening with a knife in the year to June involved 10 to 17-year-olds. Hospital figures reveal that 813 people under 18 were treated for a sharp injury wound in the year to April 2018 – up 80% since March 2015. The Crime Survey for England and Wales – a national rolling study of people’s experiences – found that almost 6% of children knew someone who has carried a knife. 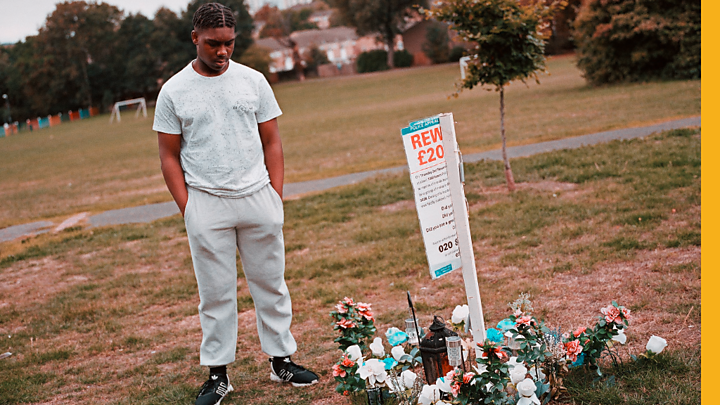 Knife crime: What happened to Michael? Home Secretary Sajid Javid said the proposed power filled a gap in the law and would help police target knife-carriers more effectively. “I will do everything in my power to tackle the senseless violence that is traumatising communities and claiming too many young lives,” Mr Javid said. But Enver Solomon, CEO of Just for Kids Law, said the government was “resorting to harsh headline-grabbing initiatives that won’t work”. “This will do very little to address the underlying causes of knife crime and will push more young people into the criminal justice system,” he said.